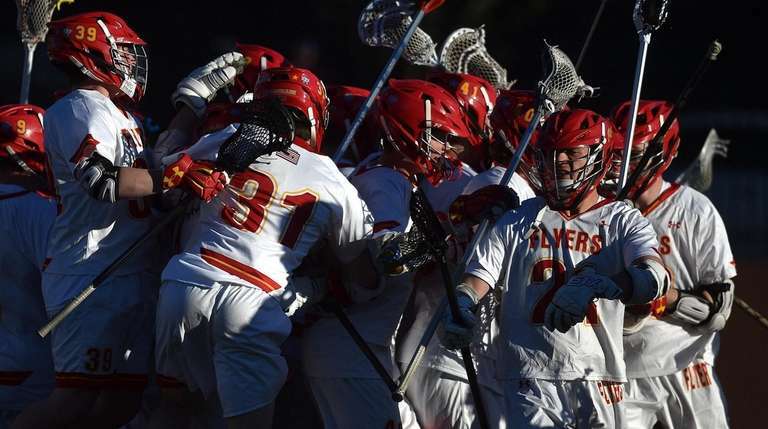 Gregg Sarra picks Long Island's 10 best teams across all sports for the spring season. Reilly Gray scored four goals and Liam Entenmann made 16 saves as the Flyers beat previously unbeaten St. Anthony’s, 13-7. The Flyers are 4-0 and one of the top teams in the country. Jake Krzemienski has been on fire and at the plate and on the mound. 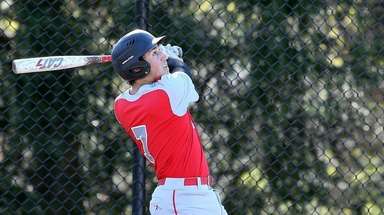 He threw a shutout in the season opener against Lindenhurst and went 4-for-4, with two doubles and a three-run homer. The Cougars will battle Connetquot in a critical series next week. 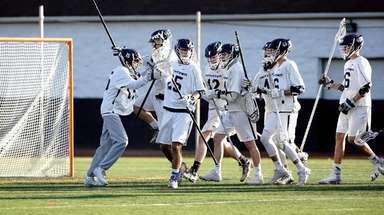 The Patriots used a stingy defense and the great goalkeeping of Collin Krieg to beat previously unbeaten West Islip, 6-2. Leading scorer Dylan Pallonetti scored twice and added an assist in the win. 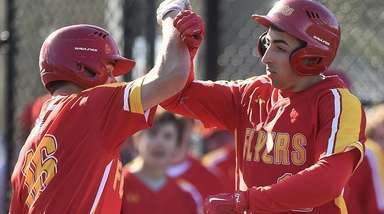 The Firebirds opened the season strong, highlighted by a 14-6 win over East Meadow, the two-time defending Long Island Class AA champions. Julia Piotrowski went 4-for-4 with two doubles and four RBIs and Caroline Bratichak went 3-for-4 with two doubles and four RBIs in the win. Lefty Matt Goodis has three wins and righty Joe Savino has 18 strikeouts in 12 innings and two wins as the Thunderbirds are off to a 7-0 start. The offense has been keyed by Josh McGee, Alex Ungar, Derek Yalon and Matty Brown-Eiring, all hitting over .400. The Blue Devils have shown no signs of stopping after a phenomenal indoor season. Eric Sands and Gary Barash placed 1-2 in the shot put at last weekend’s Longwood Track Classic. Sands won with a 47 foot, 7 3/4-inch toss and Barash was second, going 43-10 3/4. The Indians lost to McDonogh (Md.) in a battle of the top two teams in the nation but rebounded nicely with a 12-2 win over North Shore. Maria Themelis and Emma LoPinto each scored four times against the Vikings. 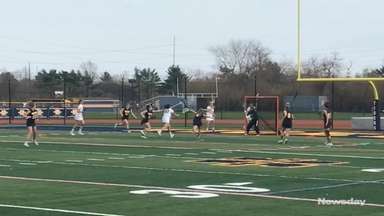 The Bulldogs started the season winning six straight matches, including a 5-2 win over defending county champion Syosset on April 8. Dion Park and Jacob Stein defeated Azim Gangat and Peter Kukary, 6-4, 6-3, at first doubles to lead Roslyn. Ariana Aghili defeated Riley Meckley (11-0, 11-2) in fifth singles to lead Commack in its 8-1 win over Ward Melville in a Suffolk I opener. The returning county and Long Island champions return Newsday Golfer of the Year Adam Xiao, Luke Bakshandeh and Arman Haratunian in a powerful lineup. Xiao and Bakshandeh each shot an even-par 36 in the season opener, a 7-2 win over Jericho at Muttontown CC. 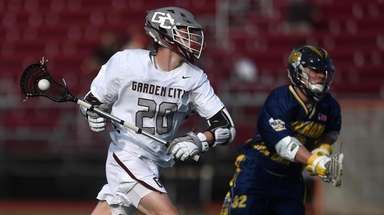 On the cusp: Garden City boys lacrosse, Mt. Sinai girls lacrosse, East Meadow softball.